For our second Alumni spotlight of the month and last one of the current year, goes to another successful player who truly shaped and pushed the boundaries of the Stony Brook Rugby program. Sean Rafferty has been able to excel on and off the field in various ways. With gifted physical attributes making him perfect for the game of rugby. Sean started playing rugby as early as 2007 in Stony Brook. In his first year, Sean made an incredible impact and many of his peers knew he would be one of the great talents to brace the SBURFC program voting him to be “the rookie of the year”. During his time as an undergrad, He built a reputation of giving opposition teams something to fear on the rugby field.As he was voted three times as the hardest hitter, and with time his integral role to the team helped lead to successful seasons where he was voted as MVP of the year. 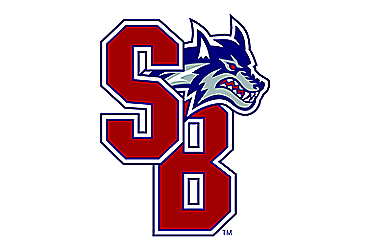 Through his successful Stony Brook career Sean played with the neighboring successful Long Island Rugby Club to further his rugby career and there he honed his skills to become the rugby player his today by earning the MVP of the year award with LIRFC. Mystic River Rugby Club noticed his talents and from there Sean moved to one of the most successful rugby clubs in the nation. with Mystic River Rugby Club Sean received MVP forward of the year and has one the 2016 national championship with his team. Sean’s rugby career took another positive turn in 7s rugby where he played in high profile tournaments in Vegas. Playing in the World Club 7s tournament being the only NorthEast conference player to do so representing the United States against large rugby nations such as Irland and England and playing against world famous rugby teams such as Munster and the Brumbies and many more. Sean then was invited to five high-performance Olympic camps for USA Eagles leading to last Olympics. Sean’s goals for the future has even taken him to larger heights after moving to San Diego and joining the army, on January 2nd Sean will embark on his next goal to become an army ranger. Best of Luck Sean on your next phase in life and thank you for leading the way for future SBU Rugby talents.